I have a huge apology to make. I have been AWOL for so long that I hardly know where to begin. First my excuses. I have written a book, Margaret Moseley's A Garden to Remember. The book took me eons to finish. The text was not so hard, but writing cutlines for every single photograph on 140 pages was much more time consuming than I had imagined. Then, there was the Index marathon. I stayed in my pajamas for three days straight, working from before dawn until after midnight to find every Latin and common name of plants to alphabetize. Then, a couple of pages were changed, and I had to fix things accordingly. It was grueling. However, it was a labor of love, and I'm thrilled with the results. It's a lovely story about a fabulous garden my dear and funny 97-year-old friend made over the course of four decades (more on this later). 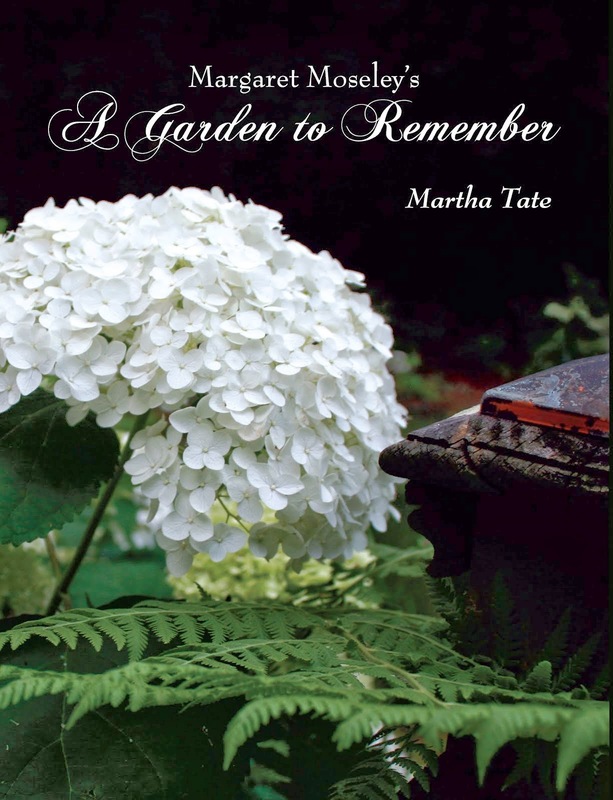 The book will be introduced and the hardcover edition available at the October 22nd meeting of the American Hydrangea Society. Then, there was the wedding. My older daughter Anne got engaged at the end of May. We spent a month trying to make it work to get married at Pawleys Island, S.C., in October. Nothing fit together. The next thing I knew, I found myself offering to have the wedding and reception at my house. What was I thinking? But, with a lot, and I mean a lot, of help from friends who spent 13-hour days making wedding bouquets and boutonnieres, arranging flowers, mixing cement to make rosemary topiaries, making garlands, hanging Alabama smilax all around the tent and fastening the vines to an arch and obelisks in the garden, driving me to buy the liquor for 150, running errands to buy more Christmas lights, making seven (exquisite) arrangements for the tables for the rehearsal dinner and delivering them to the Piedmont Driving Club, gathering greenery from yards, hiding all my junk in closets and under beds and on and on - too many chores to mention - it turned out to be a magical (and very lively) evening. The photograph above was taking the morning after. I hope the professional photographer got pictures from the night before. At least, you can get an idea of what the tables looked like in the tent. We used barn wood boxes to hold giant pillar candles or rosemary topiaries. There was lots of greenery (mostly olive branches, rosemary, English and Alexandrian laurel, Alabama smilax, moss, boxwood and pittosporum) and white lights and candles. The tent was installed so that the facade of my house was part of the scenery. The hemlocks that form an allee leading to the house were wrapped in white lights. The back balcony was hung with Italian cafe lights. Just amazing. So, there's my excuse. I will soon be out with my camera capturing more garden scenes. I have many from previous seasons I haven't yet shared. I'm also anxious to do some writing, which I've missed so much. But, there's one negative thought looming. I haven't done my 2012 taxes. As soon as I post this I need to go up and get started. But, I now have the memory of a spectacular night that none of us wanted to see end. And, I'm thrilled to be sharing Margaret Moseley's stories (some hilarious) of how she created an enchanting garden from scratch. So, I'm back in business and looking forward to being with you again. As I told you before, I bought the book in paperback. I just couldn't wait. It is wonderful, Martha. You should be proud. The wedding looks like it was wonderful as well. Maybe, things will get back to normal (whatever that is).